A modern interpretation of a classic armchair, the King F Armchair by Rugiano Interiors features a traditional curved backrest with luxurious capitonné detailing. Upholstered in the finest Tessuto fabric and Pelle leather, choose a contrasting exterior for a contemporary touch. The hand-crafted wooden frame is expertly designed by skilled artisans in the heart of Italy. 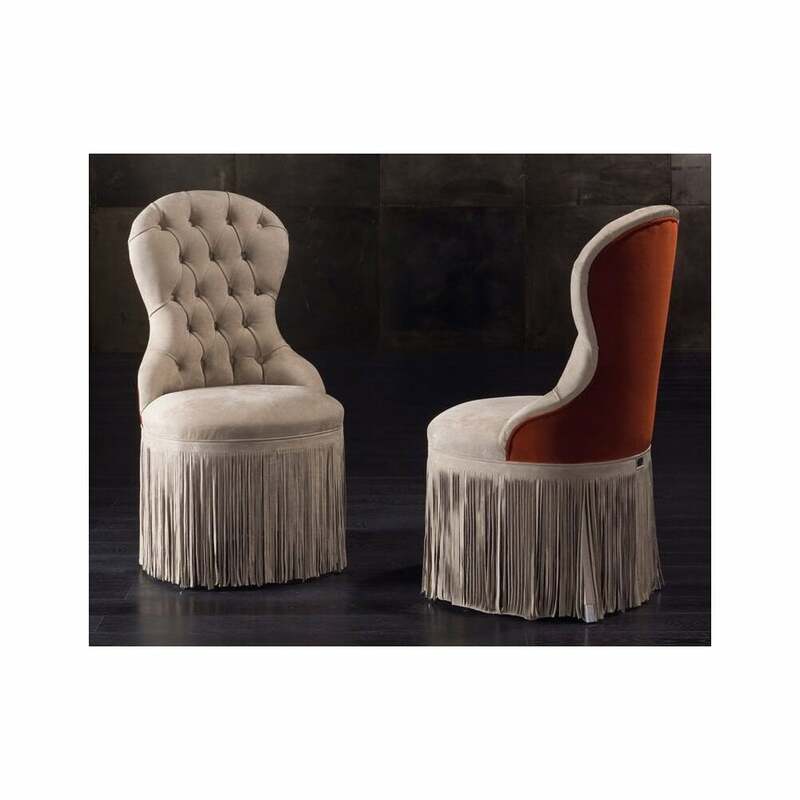 The legs are covered with a fringe skirt giving this armchair a regal look. Pair with the Forest Dining Table for an elegant scheme that exudes Italian glamour. Samples are available upon request. Make an enquiry for more information.